Susan Owens lines one up. 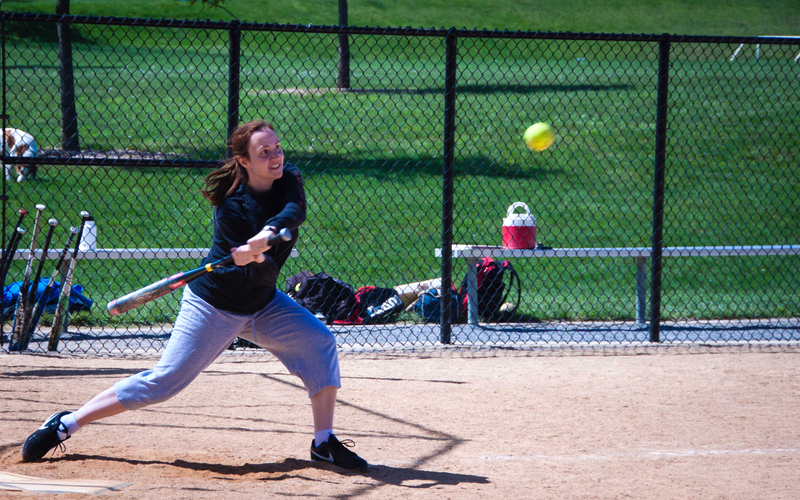 The Trinity Angels coed softball team is off to a good start with a 3-1 record. Come join the fun. The team can always use new players (18 years old or over) and fans. The next game is Sunday, May 19 at 2 p.m. at Clear Spring Park in Germantown. For more information about joining the team, please contact Coach Cathie Eaton at cjeaton@loyola.edu or Xavier Ascanio at xascanio@gmail.com.